Bobby Clark Construction Inc. is a residential and commercial construction company that has been building extraordinary structures for nearly three decades. 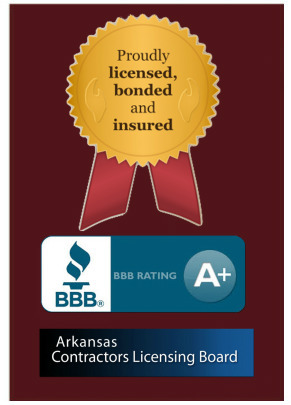 Our quality workmanship has earned us a reputation as one of the Arkansas's premiere contractors. We specialize in ground-up construction as well as renovations, add-ons, and remodeling. We are experts in affordable custom homes. Bobby Clark Construction is licensed and bonded and has a A+ rating with the Better Business Bureau, all this make us a safe and reliable company to handle your construction projects. Be sure to visit our Photo Gallery for pictures of some of our completed jobs.